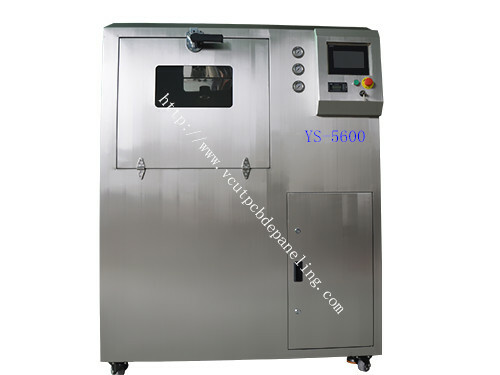 YS-5600 is a high-end PCB batch cleaning machine used to clean all kinds of flux on SMT and THT PCBA , it is compact, efficient, energy conservation and environment protection. Clean, rinse and hot air dry process auto completed just in one machine. Widely used on car electronics, aircraft, medical devices, instrument industries…etc. 1. Total SUS304 stainless structure, Strong Acid and alkaline resistance, more than 10 years life span. according to different management authorization. 4. Standard leaning chemicals can be add into machine manually or using dosing pump to add pure chemicals and DI water automatically according to different ratio(5%~20%). 5. Cleaning chemicals heat system, can heat to the suitable temperature, ,make cleaning efficient. 6. Cleaning process can be observed through window on machine. 7. Cleaning all kinds of flux and solder paste. v8. Real time electrical conductivity monitor system to monitoring cleaning result, can be set to 10~400us. 9. 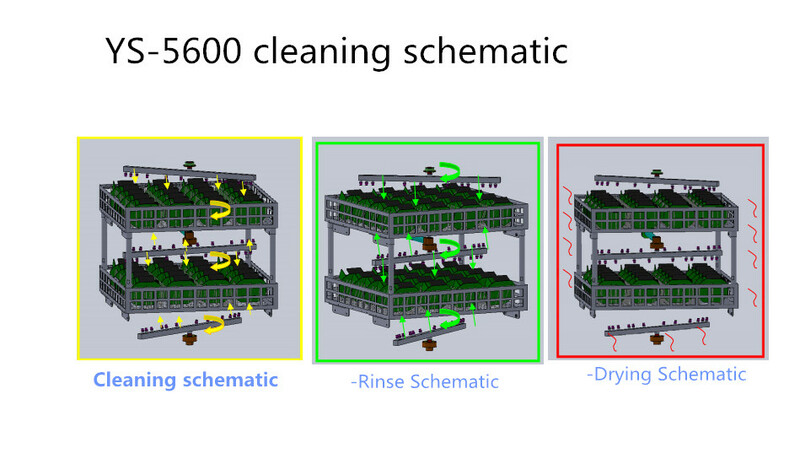 High standard cleanness, ion contamination is fully consistent with IPC-610D I level standard. 10. 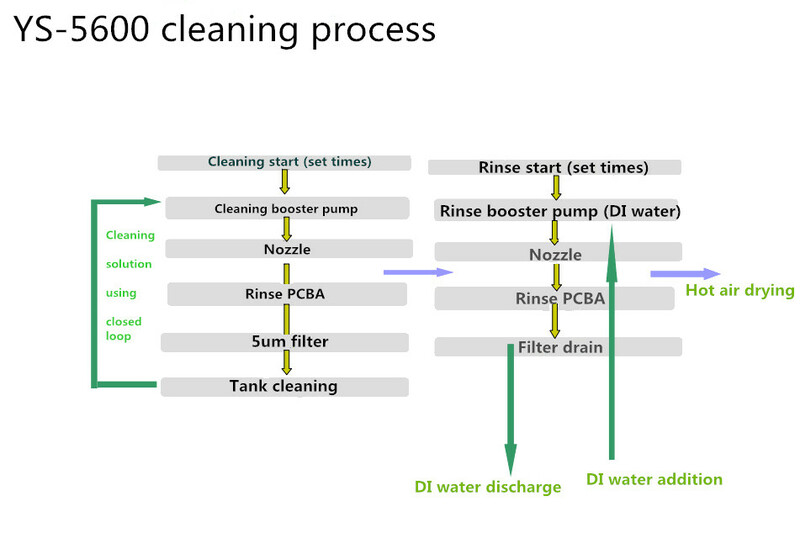 Cleaning chemicals repeated use in the machine, it can reduce 50% chemical cost. 11. Built-in resin pipe out filtration system to effective filtrate all kings of impurity substance like COD,BOD,PH…etc.